It's technically spring at the moment here in Australia, but I think it would be safe to say that summer is here. It's been above 30 degrees celcius every day this week, and it stays warm and muggy until well after the sun goes down. It's perfect weather for lazing around under the air conditioning, or outside in the shade with a good book, and that's certainly something I have been trying to do-- I am on track to reach my Goodreads target of 101 books in 2017 with a few extra books up my sleeve, but that's no reason to slow down! Reading has sort of replaced writing in the last couple of weeks, but I am finding it hard to feel guilty about that. Since finishing the rewrite of my novel and handing it over to my beta readers, I feel a little bit like a sponge that has been wrung out. I have no more words for the moment, so I am soaking up other peoples'. 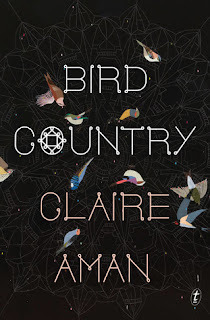 Bird Country by Claire Aman-- reviewed here on the AU review. Controversial, but it was a real struggle for me to make myself finish this one. The dialogue and the writing in general were really over stated and the plot was sensationalised and there was no real sense of time or place. Plus, the main character was kind of bland and prickly. I know this author is really popular but I would be hesitant to read her again after this book. I've read this before, but I can't for the life of me find my copy. I doubt I would have got rid of it, because it was a book that came into my life at the right place and the right time. When I saw it on the shelf at the library, I knew I had to take it home and reread it. And so I did, and rereading was such a treat. I rarely get to revisit books. This is a really complicated novel and it's hard to explain without making it sound really ridiculous. It was Edwards's first book and it took him 36 years to write (so keeping that in mind, I still have time, given that I am coming up on ten years since I started Between the Sleepers...) It follows a character named Wheeler Burden, who is this legendary rock star/ college baseball player/ writer, who suddenly finds himself in Vienna at the turn of the century and gets to witness all of the culture and unrest that are blooming there at that time, but he also has to work out how to get back to his own timeline-- if he even can-- without messing up his own history. It's not a totally unflawed novel; Wheeler can tend towards being a bit of a male Mary-Sue at times, because he's so handsome and good at everything and women love him just by looking at him, and you can see the hand of the author at work sometimes, orchestrating the coincidences that give the plot its twists and turns, but it's just really good fun. It sweeps you up in the march of time and you get to be a fly on the wall where people like Mark Twain and Freud etc. are at work. I've recently discovered that there is a second book which got some absolutely terrible reviews, so I have requested it on inter library loan so that I can find out for myself. It's stunning. There were moments when my heart was beating so fast with excitement, I thought I was going to explode. It's Egan's first foray into historical fiction, but she does it so well. This is the story of a young woman who works as one of the first female divers on the naval yards during the second world war, but it's also got love, and gangsters and missing fathers, and it's just so amazing. I can't rate it any higher. I read it in 24 hours and could not put it down. Better go read A Visit From the Goon Squad soon I think. Charlotte is a friend of mine, but she's also an exceptionally talented poet. What I really like about Soap is that it's accessible and relateable, without being dumbed down. A lot of people are put off by poetry because it's like some elite club that you have to have the secret codes to get, like poetry is only meant for reading by other poets. But not this collection. This collection is personal and universal at the same time. 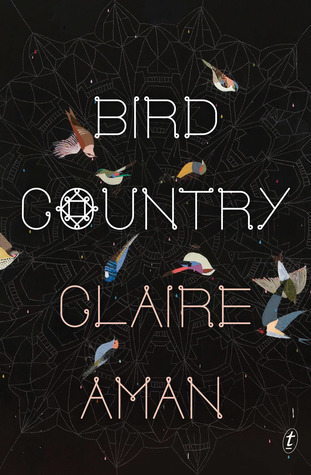 It's moving and erudite and playful and it lets the reader in on the secret, which I really, really liked. 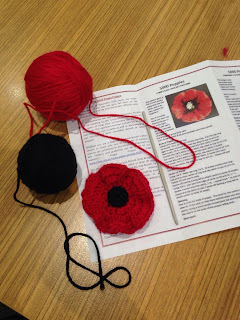 In other news, I've started crocheting poppies after doing a workshop with the RSL poppy ladies at my local library. They need 62 000 before next Remembrance Day to display in King's Park. I'm going to keep making them for a while, I think.